- Aidan's mom, after learning her 5-year-old son had Nephroblastoma, a kidney cancer also known as Wilms tumor. 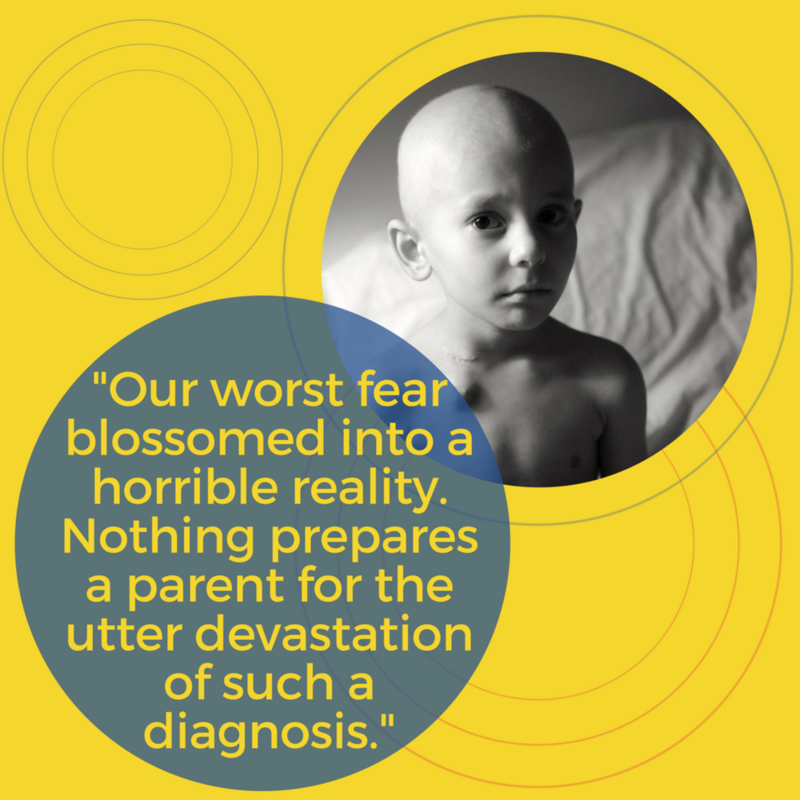 Read more stories about children with cancer here. September is a time when we celebrate advances in childhood cancer treatment and care, remember the children we've lost, and engage new advocates to join in our mission of achieving a day when every child with cancer can live a long and healthy life. See the recording of the webcast here, or photos here! After the EL-PFDD workshop concluded on September 13th, we switched gears and joined fellow childhood cancer advocates at The Golden Toast at the Library of Congress. The Golden Toast was co-hosted by two coalitions that Children’s Cause is a member of — the Alliance for Childhood Cancer and the Coalition Against Childhood Cancer (CAC2), along with The Leslie Carson Foundation. It served as a beautiful opportunity for the community to come together in celebration of our shared legislative achievements over the past year, including passage of the RACE for Children Act and the Childhood Cancer STAR Act. Finally, we joined with families and organizations from around the country for CureFest, an annual event that Children’s Cause is proud to help support as a bronze sponsor. If you missed CureFest, there was fantastic live coverage of the many events broadcast on their Facebook page. We encourage you to check out the photos and videos - and make plans to join in next year. Organizers have already announced that the dates will be September 20-22, 2019. For a more in-depth look at these events in DC, including photos and quotes, visit our blog. Click an image below to learn more about these limited opportunities to support the Children's Cause while you shop -- only in September! Also in September, our College Scholars are back at school and preparing to launch their fall projects! Read about Melissa and Malachi, and their chosen advocacy projects, here. There are plenty more events happening during September, both in DC and around the country, and we encourage you to check out the Coalition Against Childhood Cancer's Events Calendar to see if there's something going on in your area. And be sure you're following us on Facebook and Twitter for live updates from Washington, DC, all month long! Use hashtags #CCAM and #GOLDSTRONG to share your own awareness stories! Finally, please consider participating in our 2018 Patient Needs Survey: At Children's Cause for Cancer Advocacy, responding to real-life issues on affordability, insurance coverage and access to care is a top priority. In partnership with the Patient Advocate Foundation, we're conducting a 5-10 minute online survey of childhood cancer families, patients and survivors to better understand healthcare barriers facing families like yours. For questions about Childhood Cancer Awareness Month, please contact us at info@childrenscause.org or 202-552-7392.